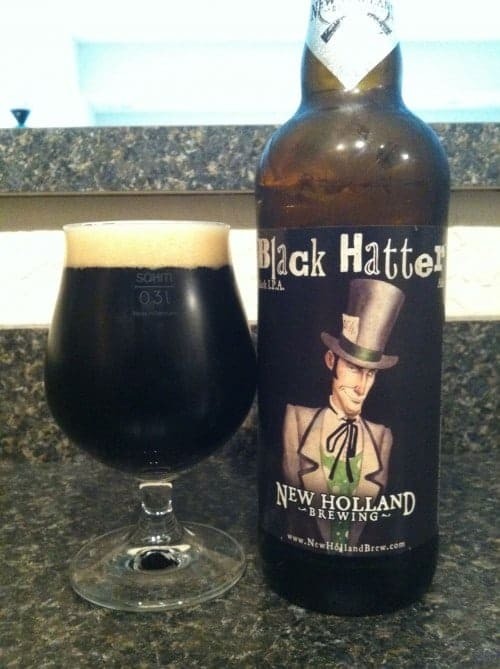 New Holland has taken their Mad Hatter India Pale Ale and done some fun things with it. The Mad Hatter series offers a couple twists. Black Hatter Black India Pale Ale has decent hop aroma thats light on the roasted malt. Nice Centennial hops in the finish but a bit too much bitterness in the flavor. Thin body thats a bit watery.